Although Bridgette is 21 years old, her tiny infant Size 2 shoe prevents her from wearing "adult" shoes. Bri and Brad have BIG spirits in TINY bodies! According to medical journals, Primordial Dwarfs are "born happy sociable people." 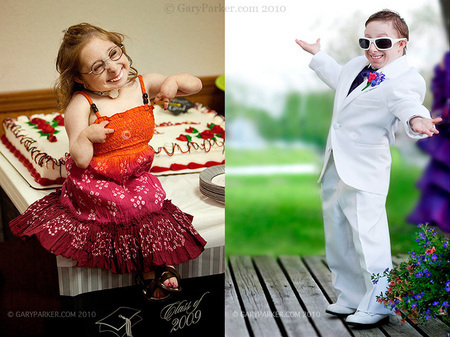 This is Bridgette at her graduation party and Brad dressed for the prom, both characters, as always... Contrary to internet MYTH, Primordial Dwarfs can live full and, obviously, happy lives! 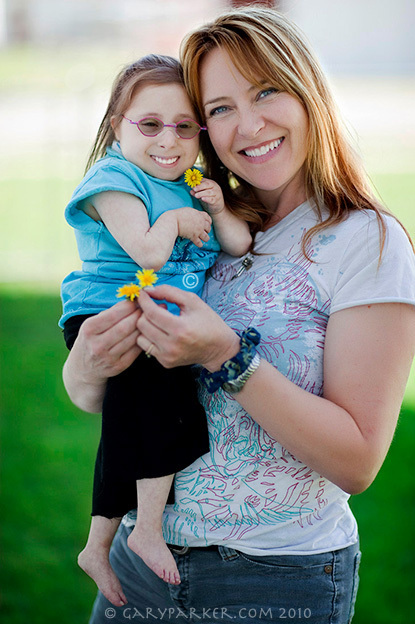 Bridgette and Brad are literally in medical textbooks as classic cases of Primordial Dwarfism. Bridgette compares foot-sizes with her 10 month old niece. 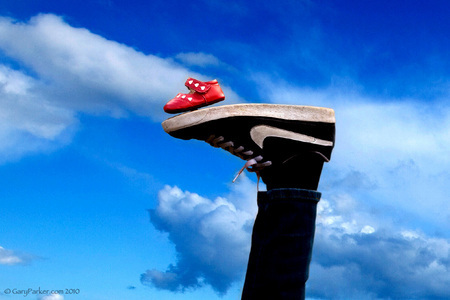 At 21 years old, Bridgette wears an infant size 2 shoe - so her niece has a bigger foot. Bridgette graduated from high school in 2009. 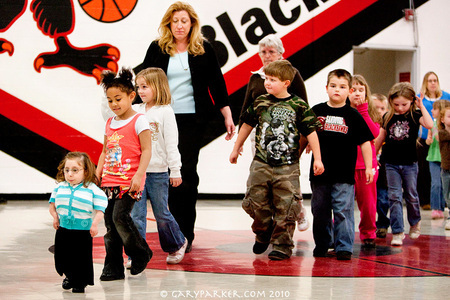 Bri tends to stand out - or get lost - in a crowd, as is evident in this image of her with graduating classmates. In crowded public places Bri must be protected from being bumped into or accidentally stepped upon. 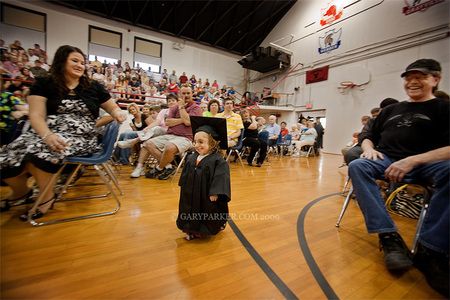 To the delight of friends and relatives Bridgette, the smallest high school graduate, marches into her graduation. Bri earned a "Senior Student of the Month" award just prior to graduation. Bri is now in her 2nd year of college. 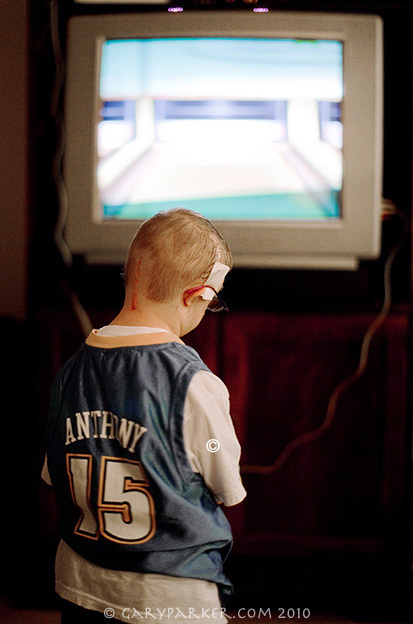 Brad returned to Stanford 8 months after his 3 brain surgeries for a series of tests. 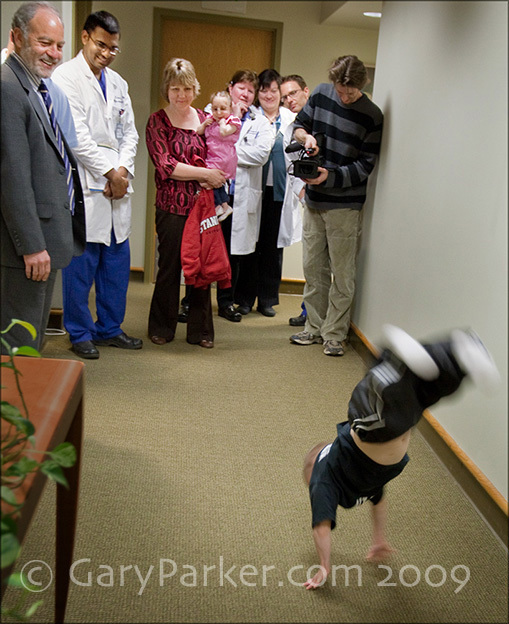 Technicians noted Brad's unusual ability to lay motionless during long, tedious procedures. Brad checked out 100% and was given a clean bill of health! Brad plays Wii after the 2nd of 3 successful brain surgeries performed at Stanford Lucille Packard's Children's Hospital by renowned neurosurgeon Dr Gary Steinberg, a world authority on operating on the brains of Primordial Dwarfs. 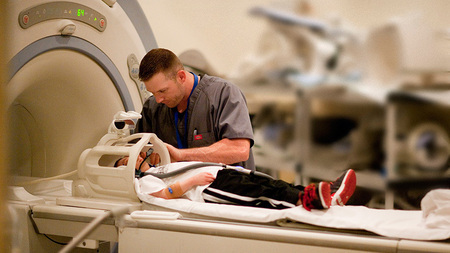 With medical advancements, Dr Steinberg believes, "Primordial Dwarfs can now lead full lives." Brad shows off the form which made him STATE CHAMPION in Illinois for his floor exercise routine. 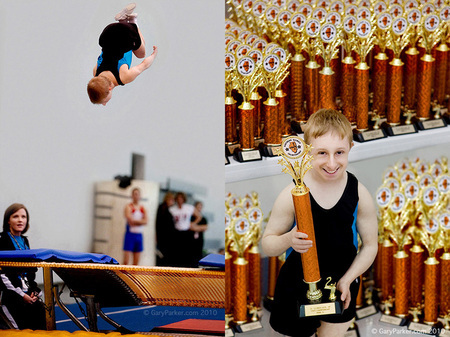 Brad's diminutive physiology & extreme musculature make him an astonishing athlete, perhaps one of the quickest men on Earth, physicists have hypothesized. Bridgette loves cooking and is quite adept at getting to wherever she needs to be. The Jordan household has a few stools but Bri and Brad are so agile they often just climb or hop up. Bri would love to meet Rachel Ray. Why? "30 minute meals work for me!," says Bri. 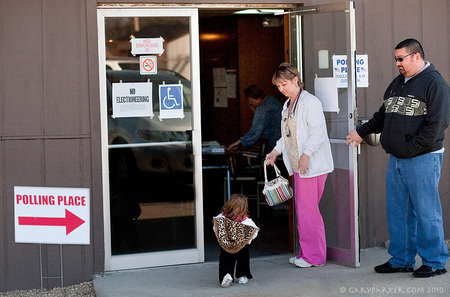 After getting off work as an RN, single Mom Christy takes Bridgette to vote in a local election... When Bridgette was born her rare condition was a medical mystery for the first 9 years. 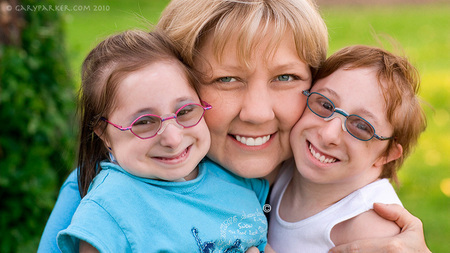 Christy became a RN in order to better care for her two Primordial Dwarf children. Bridgette, a lifelong cheerleader, tried out for and made the Kaskaskia College cheer squad as an incoming freshman, making her the World's Smallest Collegiate Cheerleader! Brad, now in college, also made this college cheer team! 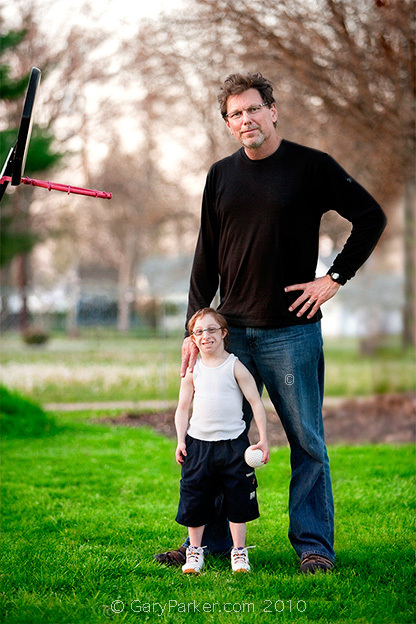 Photographer/Director Gary Parker, 6'1", with Brad Jordan after a basketball game in which Brad beat the big guy, a former All-State basketball athlete. 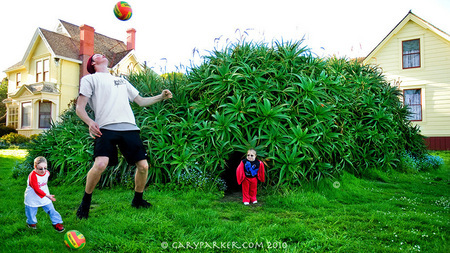 3'2", 35 pound Brad can slam dunk a ball on a proportionately correct 5' goal the way 6'6" Michael Jordan slams on a 10' goal. Zana was immediately smitten by Bridgette's charm and delightful demeanor. Bri was ecstatic about her new look... Thank you Zana!!! Click here for "The Studio"
Christy Jordan, Bri and Brad's amazing mother, has raised her tiny children to be fearlessly involved in everything other kids do. The result of this Super Mom's efforts are two of the most extraordinarily cool and fearless human beings on the planet. Bridgette and Brad are inseparable best friends... When in public it's common for curious people to stare, which makes them uncomfortable, even though they understand. Both prefer people simply introduce themselves, and "shake my hand," says cheerful Brad.